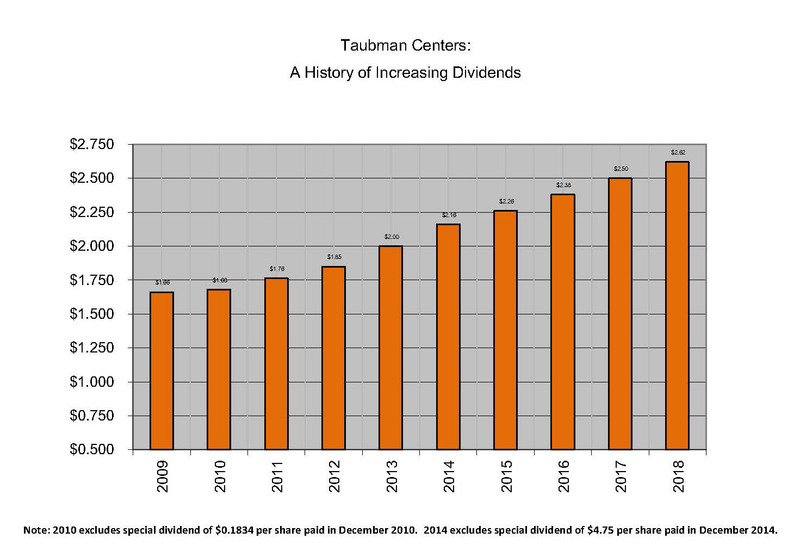 Taubman has a track record of steady dividend payments. Since the company went public in 1992 it has never reduced its common dividend and has increased its dividend 17 times. Historically, a portion of Taubman’s common dividend has been determined to be “return of capital,” which provides tax advantages for many taxable investors. Please consult your tax advisor for the specific tax treatment of your dividend. Tax classification for Taubman’s common and preferred dividends can be accessed below.